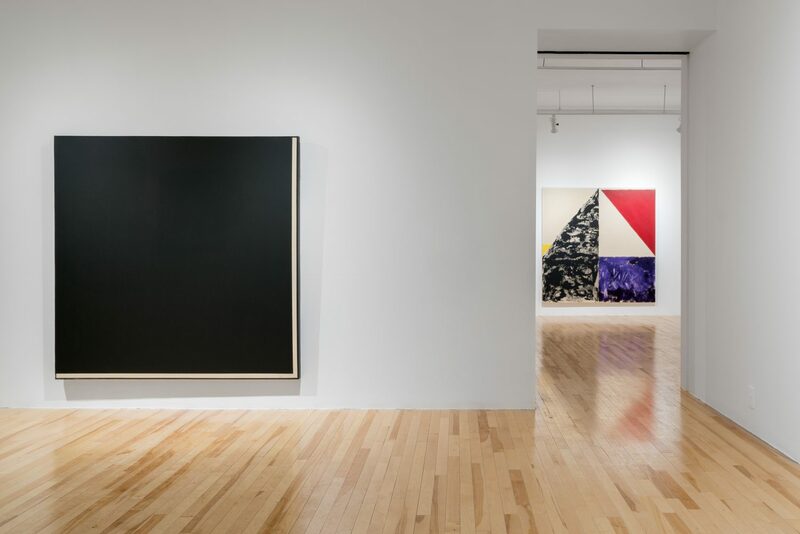 The year 2018, which opens with a cold, snowy Montreal, marks the 30th anniversary of Galerie Trois Points. 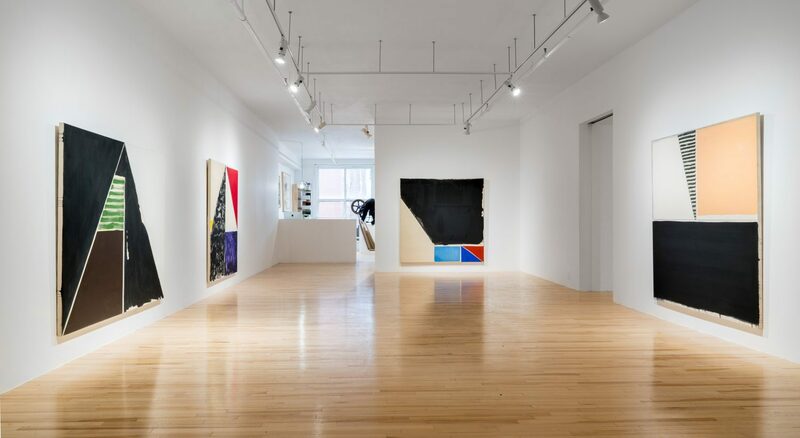 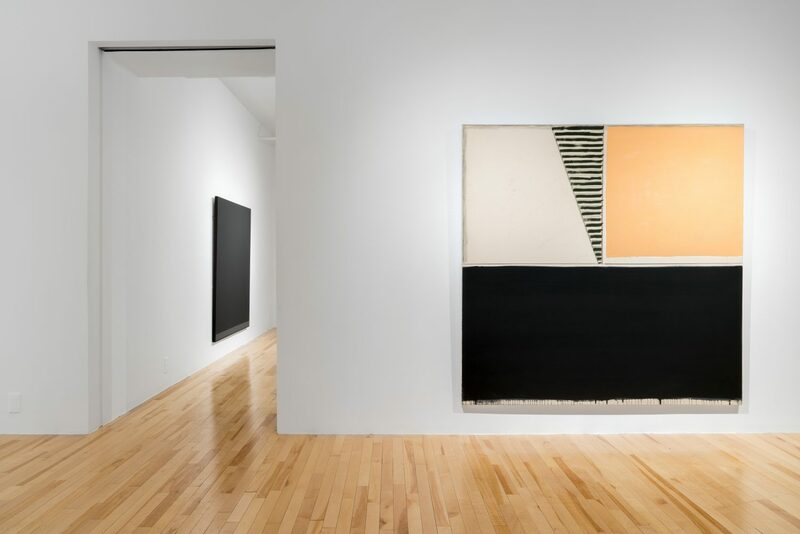 Dynamic and strongly rooted in the present, the gallery wishes to take advantage of this moment to celebrate older but still highly current practices. 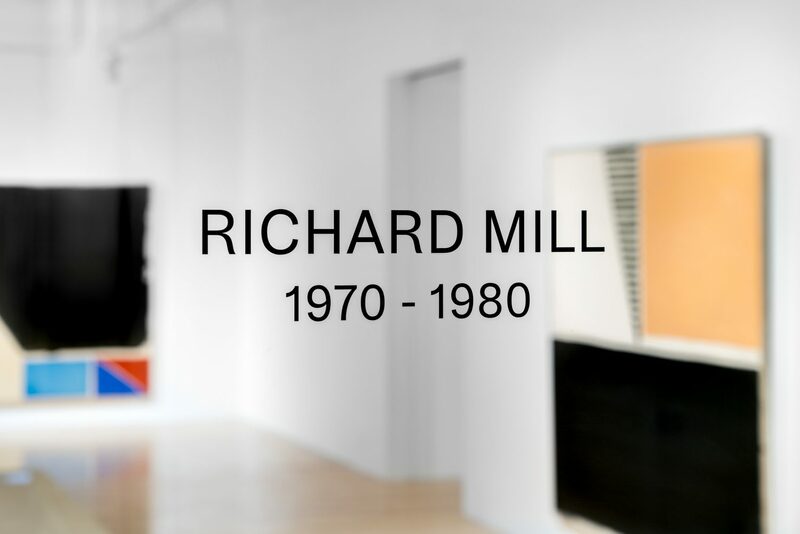 It is with great pleasure that we go back to the years 1970-1980 of Richard Mill’s practice, revisiting the production of this uncompromising and precursor artist, faithful to the gallery since its very beginning. 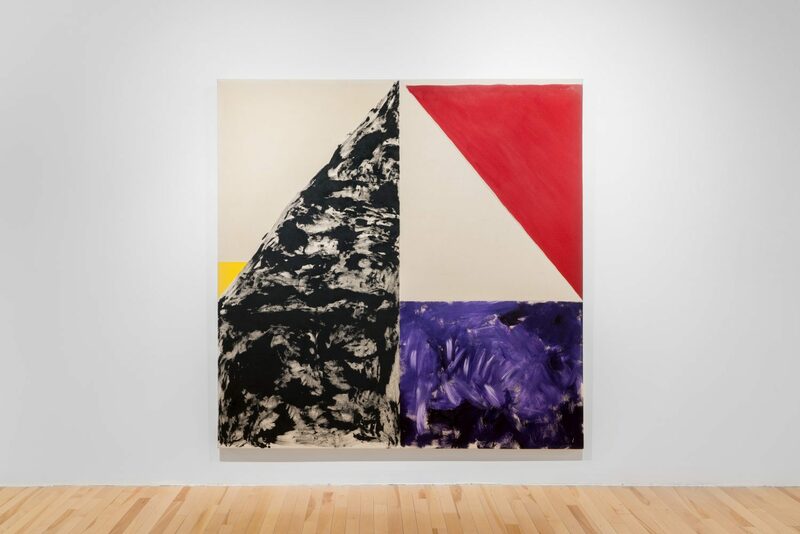 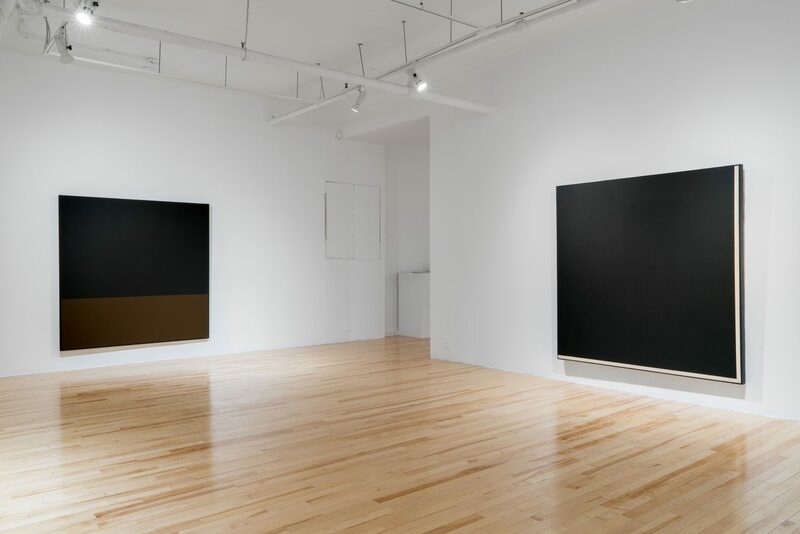 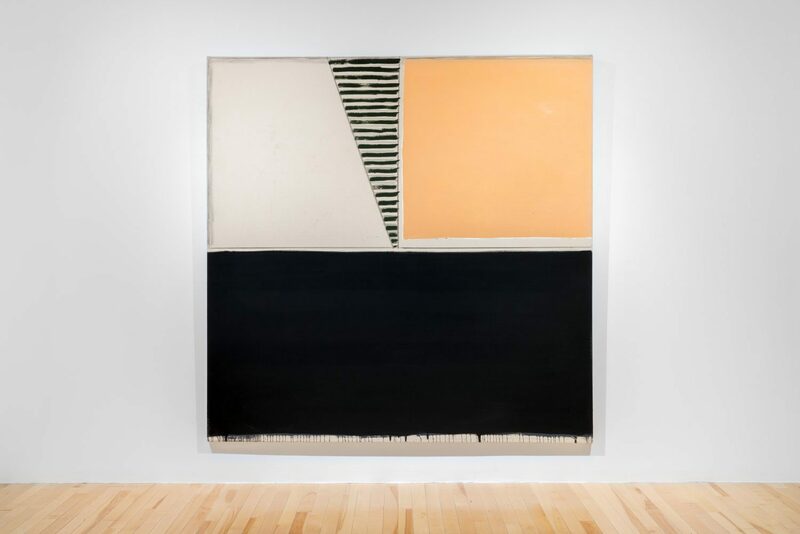 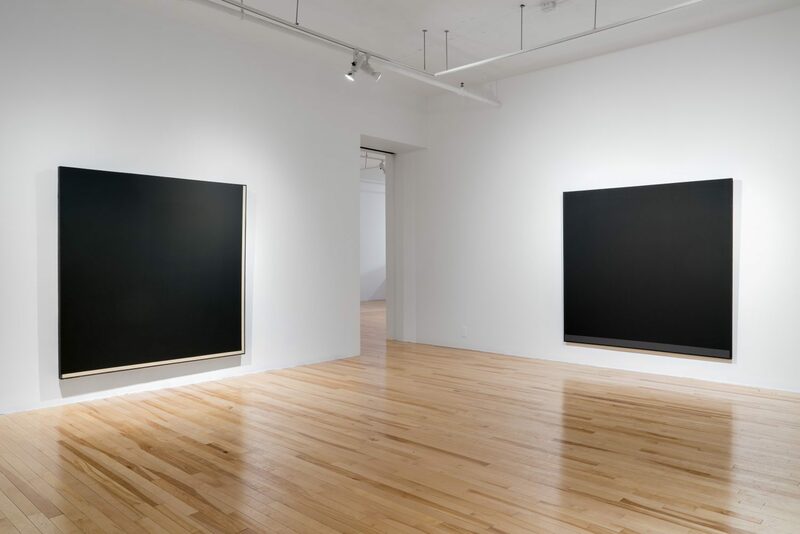 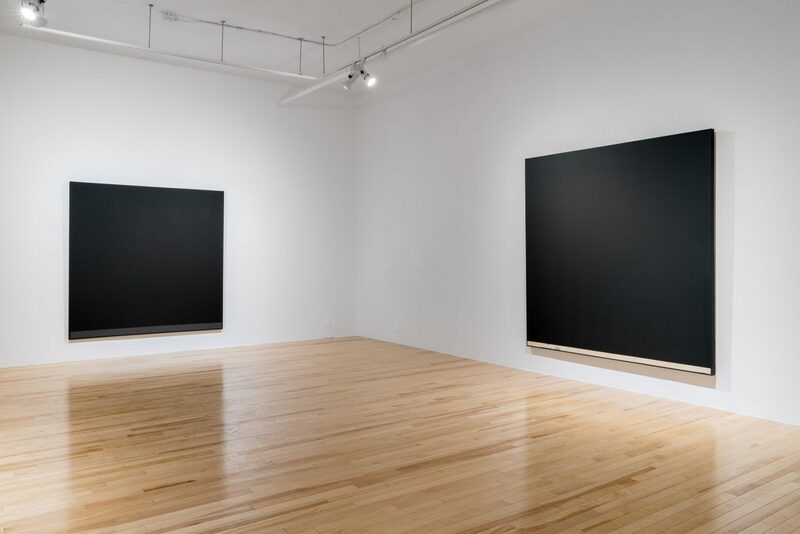 For Richard Mill, the 1970s is the decade of large black monochromatic paintings, a minimalism clearly influenced by the American school. 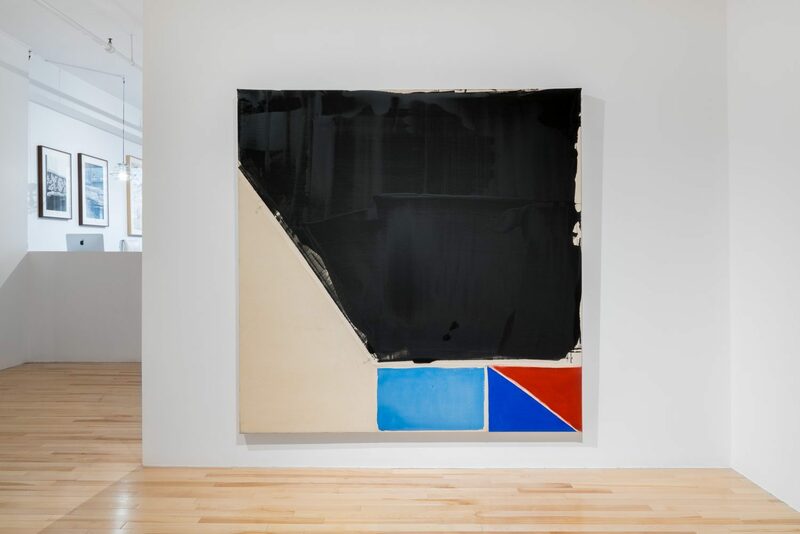 Very early, the artist immersed himself in painting whose means and pitfalls he clearly understands. 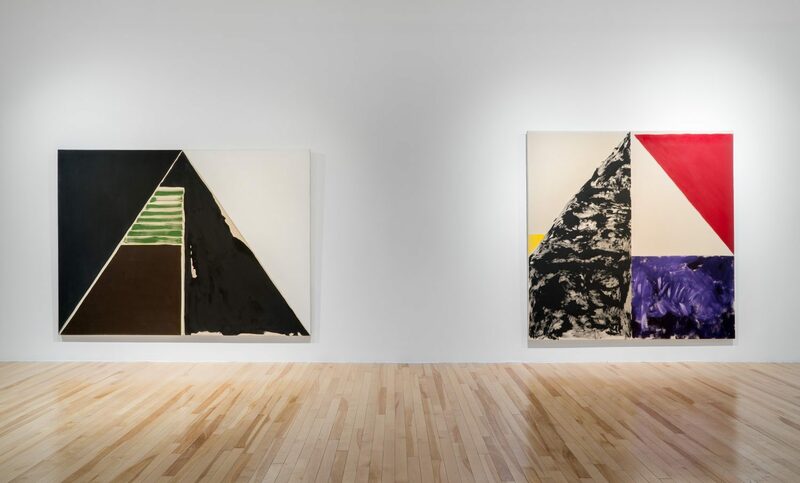 As Gilles Daigneault pointed out in Le Devoir in 1982, Mill “subtly animates the surface by multiplying the reading fields with references to history, that of painting as his own”. 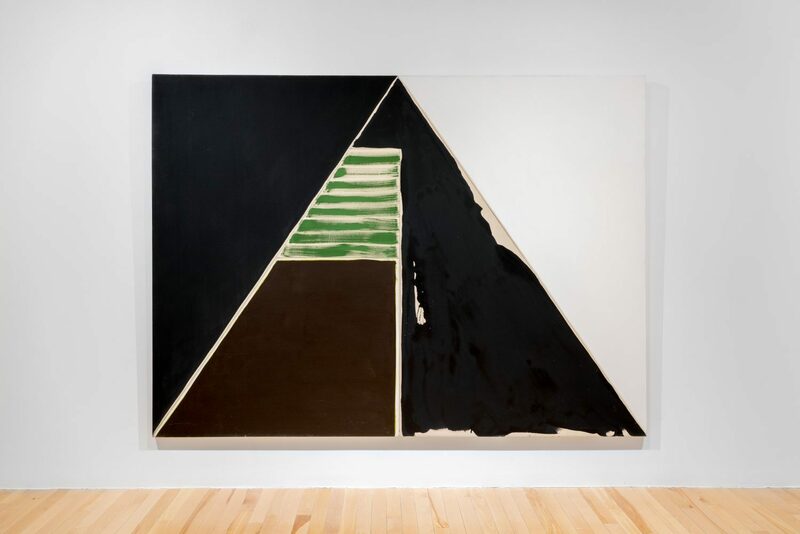 The 1970s, for Richard Mill, are those of sometimes risky exhibitions that have shocked many, at Joliet (Quebec) and Curzi (Montreal) galleries ; these are the years of important solo exhibitions among which those at the Museum of Contemporary Art of Montreal, the Musée du Québec (now Musée national des beaux-arts du Québec) and at the Canadian Cultural Center in Paris. 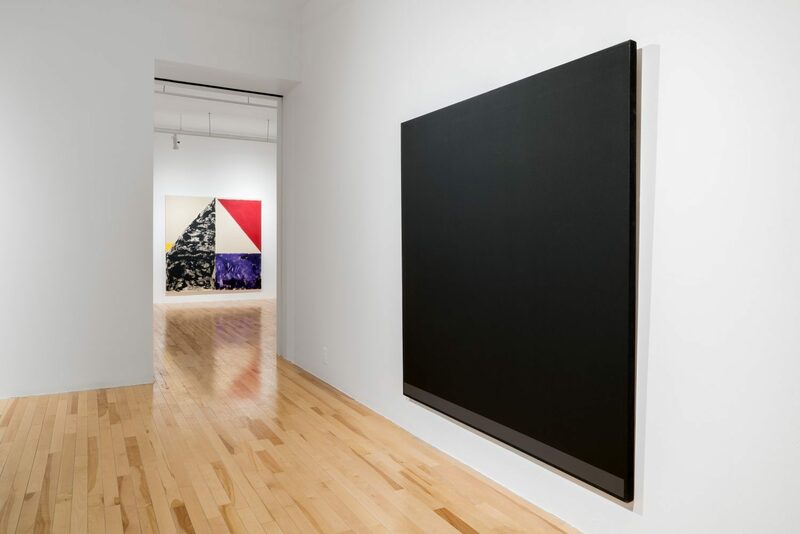 The 1980’s will see in Mill a burst of the surface – remaining as objective – and the introduction of color. 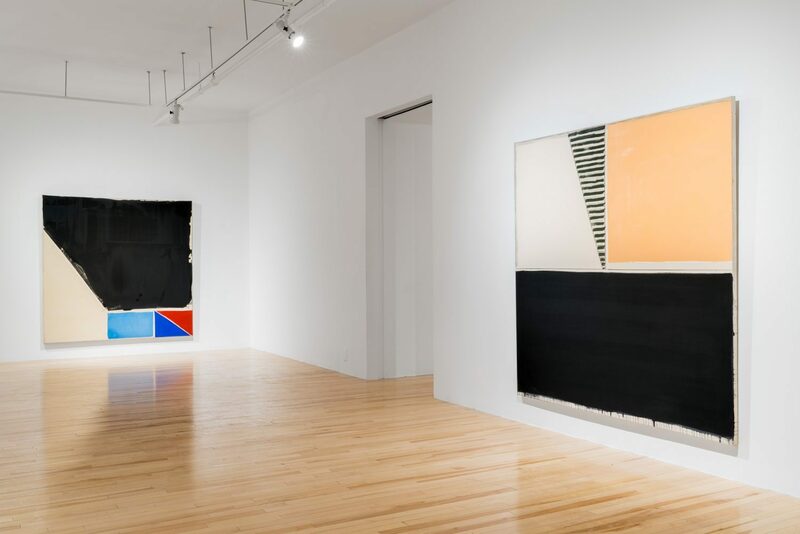 The artist is still innovating: the painting is being worn by a much more geometrical organization, structured with colorful triangular and rectangular shapes, separated by thin bands of raw canvas, spared from painting. 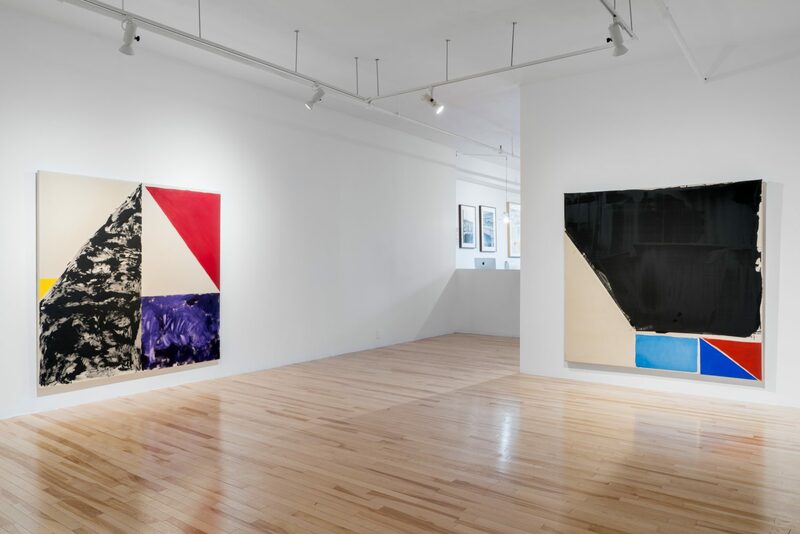 Mill dares to intermingle interventions evoking abstract expressionism with others recalling the post-painterly abstraction of Kenneth Noland or Morris Louis.